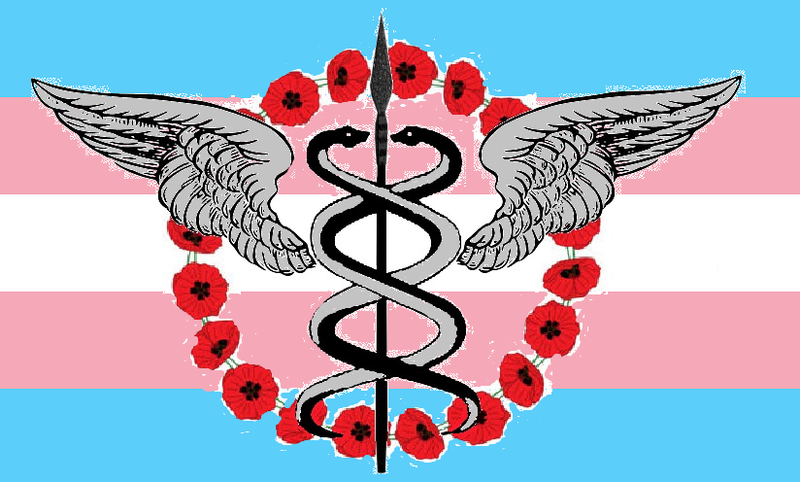 "I know I would try and make [a flag] that incorporated Caeneus spear for FTM crossdreams and two snakes to represent Tiresias and MTF crossdreams. Maybe some wings and red poppies to represent Morpheus the god of dreams (and a TG author I really like) and desire." Lost had already presented some of these mythical symbols in figures in another interesting thread on the forum. 1. The spear of Caeneus. "In this myth, Poseidon takes an interest in a young nymph named Caenis (the daughter of the demi-god Atrax). So one day while she was at the beach he rapes her. Afterwards, she is so distraught by what happens that Poseidon regrets his actions and decides to make it up to her by granting her any wish that she desires. Caenis wishes to be a man and that no one would ever penetrate her again. Poseidon then goes to Hephaestus and has him create a magic spear for her. He gives the spear to her and it turns her into a man and makes his skin impenetrable to any weapon. Caenis then masculines his name to Caeneus and goes and joins the Lapith army." 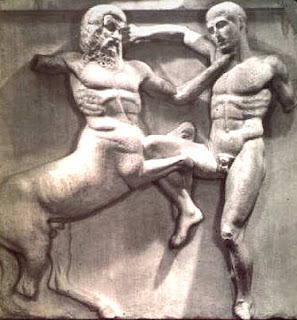 This is clearly a story deeply embedded in ancient archetypes, the phallic spear representing penetration and traditional male power. 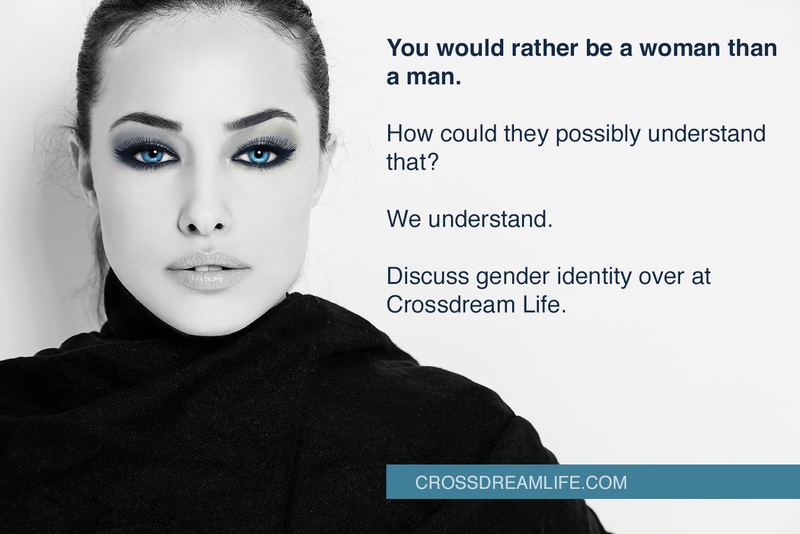 I should add that not all female to male crossdreamers are looking for this kind of power, but for some their fantasies may actually include "being on top", both in the sexual and the traditional social way. By the way: In mystical Christianity the spear may also indirectly refer to the female. In the Gospel of John Jesus is pierced with a spear while on the cross, and blood and water come out. This has been interpreted as a symbol of birth, giving Jesus the role of the mother of rebirth. This was a common idea all the way up to the Baroque period. Tiresias being turned into a woman. Engraving by Johann Ulrich Kraus c. 1690. Students of English literature will probably know Tiresias from T. S. Eliot's "Wasteland". 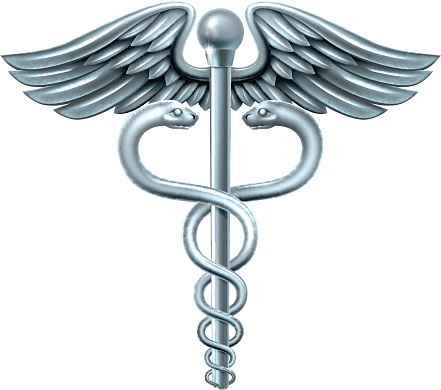 Tiresias, the man, came upon two snakes copulating, and decided to part them with his staff. This angered the goddess Hera so much that she decided to turn him into a woman. I guess her anger stems from his attempt to stop nature from running its natural course. Hera was a goddess of nature, after all. Tiresias became a priestess of Hera, married and had children. In some of her incarnations Tiresias takes on the role of the temple priestess and prostitute, similar to the ones of mother goddesses like Inanna and Cybele. (The priestesses of Cybele were originally castrated transgender women, if we allow ourselves to use the terminology of today). You can also see the parallel to shamanistic cultures, where the shaman may change gender or merge them both. Tiresias was also blinded. Blindness often refers to the gift of inner sight, and the ability to see beyond traditional categories. 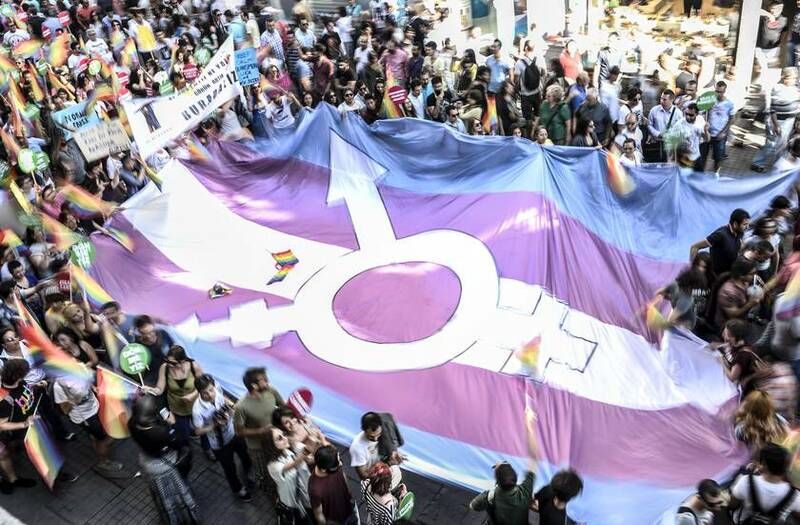 Transgender people often find themselves forced into these types of insights when they struggle with their own identities. 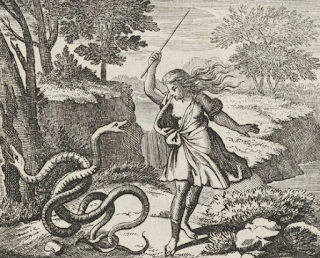 Tiresias found the snakes again in some versions of the story; she left them alone and was returned to the shape of a man. (By the way, there is one amusing part of the Tiresias story that may serve as a correction to the 19th century myth of the timid, low libido, woman. 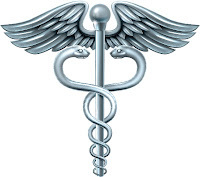 In the discussion over at Crossdream Life I added that the two snakes with wings may also refer to Hermes, the messenger of the gods, and his staff, the caduceus. As I see it crossdreamers and crossdressers often do carry the message that the world is much more complex than many people would like it to be. 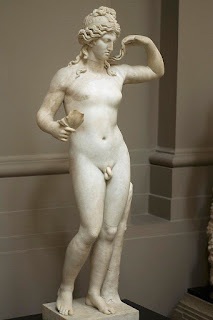 Besides, together with Aphrodite Hermes got the child Hermaprhoditus (i.e. Hermes+Aphroditus), who came to be merged with the water nymph Salmacis, joining the male with the female. The two snakes clearly refer to the polarity of male and female, while the way thye are interwined points to the fact that the two opposites are depending on each other, and overlapping. The Greek god of dreams slept in a cave full of poppy seeds. Morpheus was the dream messenger of gods, communicating their messages through images and stories, created as dreams. He was another kind of Hermes, if you like. I also enjoy the link to Morpheus, who -- as many of us know -- was incarnated in Laurence Fishburne in the Matrix movie, a movie made by two transgender women (and most likely crossdreamers): Lana and Lily Wachowski. In The Matrix Morpheus is the one presenting Neo with the famous red and blue pills. The red pill (in the binary referring to the female) is the one that leads to enlightenment. A coincidence? I do not think so. 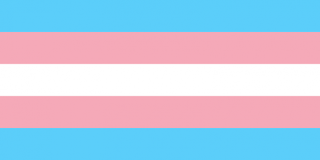 Another relevant symbol that popped up in the Crossdream Life discussion was the blue rose, first presented by JustEva. My design, with rose by Iryna Neklyudova. She argues that the blue rose is a symbol of dreams of transcendent, inaccessible beauty. It points to the the dream of becoming something, something that you cannot become by traditional means. However: You may paint a white rose blue, making a symbol of crossdressing and other crossdreamer activities. Or you may use new scientific methods: "In case of blue rose - genetic modification, in case of us, hormonal and surgical transition." Read the whole discussion over at Crossdream Life, and remember to click on the Spoiler [+] links of Lost! As I said on CDL, I like the symbolism in my flag but Eva's suggestion was truly a beautiful idea. And, I really like the way you ran with that idea to create a flag. 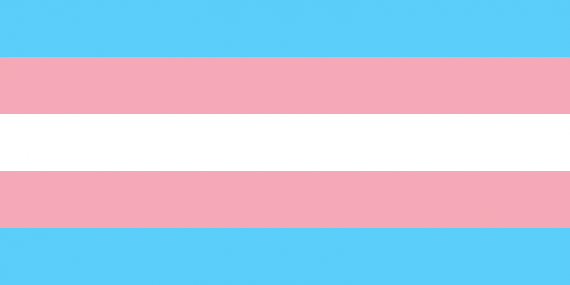 I think it is very elegant and simple, great qualities in a pride flag. Amazing job~! Whichever version turns out to be the most popular, I think it will be a great addition to the community~! I have to say, I cannot decide. I appreciate Lost's complex symbolic interpretation — because at least it forces people to look up the classics and understand that transgender issues have been with us all the time, it's not just a late 20th century 'fad'. On the other hand, Eva's simplicity of design might make more sense for many people. 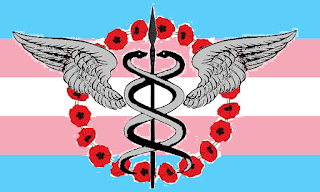 I should have taken some time to keep up with the forum and present my own suggestion, which would have been similar to Eva's: the transgender flag at the bottom, with a lotus flower in bloom at the centre. It has two main meanings: the lotus flower is associated with dreaming, especially lucid dreaming which dispels nightmares — thus the famous 'lotus flower dreamcatcher' design — and certain cultures (like the Egyptians) probably brewed a mildly psychoactive tea out of the blue lotus flower. And, of course, in the Far East, the lotus is the traditional symbol of enlightenment — because it floats atop muddy waters while the flower is always unblemished. I love the symbolism of the lotus flower, as it forces you to look at that what appears dark and dirty in a new way. Or as Jung would have said: Personal growth comes from exploring and assimilating the things that you fear and despise about yourself.